Glasscloth is made of combinations of stack, solid and textured yarn, specially developed for insulation at high temperatures up to 550 degrees. 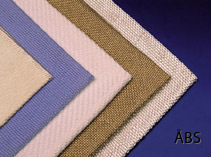 STG fabric has fibers with enclosed air cells that give the fabric superior isolation properties. For special purposes there are a number of fabrics called TG. Woven fabrics ASTG can be obtained on one side coated with high reflective aluminum foil. 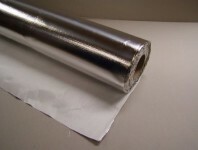 The aluminum foil prevents moisture from penetrating, or oil and chemicals to contaminate the insulation, thereby reducing the risk of fire.